Today, I’m doing a session on HR business partnering. I’m keeping the definition quite broad to extent to the overall business focused approach used by HR functions today, as well as the particular role of the strategic business partner. And, looking at what makes business partnering effective, I’m suggesting than one thing we can do is to act as if we do have a POV (so my business partnering training really focuses on the ‘how’ HR can become more strategic, supporting the Strategic HR course which focuses more on ‘what’ ie on opportunities for having a different POV). So I suggest that as well as meeting business needs, business partners should also seek to influence their businesses from this POV. I link this to Chris Argyris’ concept of double loop learning. First loop learning is reacting to business needs and changing HR to meet these needs (trying to measure everything HR does in financial terms for example). Second loop learning is about influencing the business from the perspective of HR and human capital, and what makes HR and HCM, and the people in an organisation, effective. Let’s go back to Gary Hamel again. One of his suggestions, linked to the need for ideology, was that businesses should talk the language of people (the words on the right of the slide I’ve attached above). So yes, HR can gain a certain level of credibility from speaking the language of business – measuring everything in financial terms and using all the word on the left. But to gain real credibility, and much bigger impact on business, HR business partners (at whatever level) need to think about influencing the business – measuring more of the business in human terms, and using the words from the right. So, when did you last talk about joy, honour and beauty in your organisation, and if you don’t do this, isn’t it about time you start? More on the language of people. You can also find out more about this approach, and other aspects of effective business partnering on my Getting to Groups with Business Partnering course delivered for Symposium Events. Learn how measures and metrics can be developed to help drive the success of your HR strategy. Measurement is an increasingly important aspect of HR professional capability. Good measurement can help maximise the effectiveness of HR strategy and operations, and can also help convince business colleagues that HR is managing itself in a business-like way. However, most organisations’ approaches to HR measurement fail to capture the benefits of these opportunities. Research also suggests that this area is one of HR’s weakest capabilities currently. However, some organisations are learning to do more with their measures. Advances in approaches, tools and technologies, coupled with developing experience in these areas, are allowing organisations to monitor, evaluate and improve the implementation of their HR strategies much more effectively than before. Attend this seminar to learn how measures and metrics can be developed in a way that helps to drive the success of your HR strategy, your people and the organisation. Learn why an HR strategy map and scorecard provide the most effective framework for developing and managing measurement within your own organisation. And find out how to add value to these measures through the use of various analytical approaches. You can sign up for these training sessions here. I think the best alternative to measuring HR in financial terms is to link HR activities and Human Capital outcomes of these activities to financial results through an HR scorecard or strategy map. 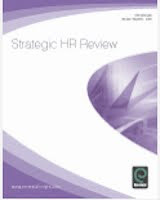 I write about this perspective in the current issue of Strategic HR Review: “Using a human capital scorecard as a framework for analytical discovery” and strongly recommend reading this if you’re one of those 35% of HR professionals who think that HR’s greatest challenge is measuring everything in financial terms. 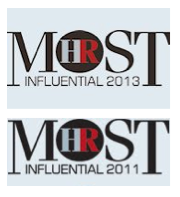 Have you seen Bersin’s latest High Impact HR report? There are a number of interesting findings in this, but the one that sticks out for me is the suggestion that the the greatest common factor shared by today’s HR leaders is measuring HR programmes in financial terms (mentioned by 35% of respondents and followed closely by delivering workforce metrics and analytics, mentioned by 26% of the sample). Really? Not improving engagement, creating a more compelling culture, or raising capability? Not improving collaboration or the quality of conversation? Not aligning organisation structures or redesigning roles to provide greater autonomy and integration? Just measuring? Now I’m delivering a two-day programme on HR metrics today so this isn’t a topic I’m unfamiliar with or see as unimportant. But really? There are a couple of things going on here for me – linked, or rather not linked!, to my previous post on HR’s POV. And I guess the question is whether Bersin has unearthed a common POV about HCM, or whether it just proved that HR hasn’t got one? That group-think reigns supreme? This would be my suggestion. I just don’t think that much of what we do in HR, or at least the parts of HR which are the most important, can be measured in financial terms. They simply don’t have any absolute financial value, and their links to end financial value are simply to indistinct to place a financial value upon them. This isn’t about HR’s inability to measure, lack of effective technology or the capability of HR professionals. It’s simply about financial measures not being the appropriate units to measure what we do in HR. Now if you’ve got a good basis to disagree with me on this, that’s fine – that’s a POV. But if you’ve just accepted the “can’t manage what you can’t measure” mantra without really thinking this through, and without reading the cases of organisations which have changed things without measuring them, then I don’t think that is a POV at all. It’s just following a fashion. And the fashion in HR certainly seems to be moving towards measuring in financial terms. But this doesn’t mean that it’s right or appropriate to do this. I think one of the most interesting inputs at the HCI Summit I covered recently was from Gary Hamel emphasising the importance of ideology – knowing what you believe about something in order to be able to support it through the design of your organisation and its processes and practices etc (or alternatively to deliberately not support it if your own ideology is out of alignment with that of your employer!). I also talked about ideology during my HR 2.0 webinar recently, and am going to use it as a central focus to my Strategic HR session that I’m running today. I think this POV idea is central to our Dave’s ‘credible activist’ competency, but it goes beyond this too. It’s about understanding the range of options open to HR practitioners to do HR differently, and designing an HR architecture which is right for a particular organisation, rather than being based on practices which are being used elsewhere (see my post on Dan Pink at the HCI summit if you need a place to start). Sorry HR, but your best practices normally just aren’t! I’ll be running more sessions on Strategic HR in the UK later in the year – see here. I’ve posted several times recently to suggest that what seem like decent engagement scores being reported by some organisations and a few vendors may hide a number of potentially very significant, and growing, employment problems. So firstly, yes, this survey also suggests job satisfaction is fairly high. In fact, 62% of the two thousand adults in Great Britain who participated in this YouGov survey suggested that they are very, or somewhat, satisfied in their current job. There are some interesting variations within this – so whilst at the lowest end of the spectrum, only 49% of London based workers are very / somewhat satisfied, a full 73% of those not-always-so-cheerful Scots say they are similarly satisfied. And while 62% may be high, it’s a tad bit lower than the 69% of US employees who said they were very or somewhat satisfied in s similar survey completed recently (see Plateau’s summary of this research, or John Hollon’s write-up at TLNT.com). Based upon these findings, and what we know more broadly about the economy, it’s no great surprise that just 15% of people said they were actively job hunting (17% in London – and the North-West, and just 10% in Scotland – and only 8% in Yorkshire and the Humber). But the survey identifies 72% of respondents, all currently employed, as I’m Outta Here’s: passive job seekers who would consider leaving their current job if approached with a new job opportunity. And while 46% of people are seeking or would consider a new job to increase their salary, 27% are looking for career advancement and the same percentage say they just need a change - in fact 21% of people say they want to change their careers or professions as well as their employers. It strikes me to be a pretty good time to be recruiting, particularly for people in London and the South. It doesn’t look like you’d even need to offer people huge increments over their current compensation. The main need seems to be about simply being flexible enough to give people a shot at something new. Of course you could always try doing this with your existing workforce too. You may even create a few more I’m Stayin’ Put’s as well! This is the first of a series of posts at Strategic HCM sponsored by Plateau. Plateau provides SaaS-based Talent Management solutions for developing, managing, rewarding and optimising organisational talent to increase workforce productivity and maximise operating performance. Plateau software has been deployed by many of the world's most successful enterprises. Organisations such as GE, Royal Bank of Canada, Singapore Airlines and Thomson Reuters use Plateau to increase the productivity of their employees and partners. Experienced experts to manage your system from implementation to ongoing support. Contact Plateau here or call at +1 866 4PLATEAU (+1 866 475 2832) or in the UK at +44 203 1788 409. You can also read updates from Plateau at their new blog: http://www.plateau.com/blog. I promised that I’d award a ticket for the Economist’s Talent Management Summit to one of the people responding to my recent survey on HR’s challenges and I’m delighted to announce that the winner of this ticket is Christine Kelly from Brady Corporation. I managed to catch up with Christine last week and asked her about the responses to her survey. First, just to let you know about Christine – she has been at Brady for 9 years and is HR Director for the EMEA region, leading 4 senior HR leaders and site teams across the region. Brady Corporation is a $1.4 bn US owned company that you may not have heard of because its focus is in niche markets, with a particular focus on identifying and protecting premises, products and people (making for example safety signs, such as the green running man for emergency exit signs, high performance labelling systems and identity badges). We started, as did the survey, with Brady’s business challenges. This was all about achieving an ambitious business vision in a still uncertain economy. One major theme was getting better organised as a global organisation. Brady’s EMEA team has already consolidated its focus into three business streams, and the challenge now is working effectively and efficiently in these streams – using the right systems and technology, implementing best practice and clarifying responsibilities for processes – who does what etc. The HR challenges fall out of these business challenges (I would write ‘of course’, but it’s not always the case!). Brady HR’s first challenge is about culture and values – taking the temperature of the organisation during change and engaging employees in the company’s vision. They do this in different ways but I particularly liked the use of what are called skip level meetings. In these the Directors talk to the people who work for their direct reports (without the direct report being there) etc. There’s also a strategy deployment process which sounded very empowering. This starts with business leaders setting challenging goals for teams which will lead to the achievement of the company’s goals. But then the teams are left to go away and find the best way of delivering against the objectives and will report regularly against the consequent improvement projects. My third set of questions were around the preparedness of HR to deliver against these challenges, and it sounded as if Brady Corp’s HR teams are set up quite well for this. Their processes still need work because of the recent change in business structure and processes etc (and because of the ongoing challenge of operating in a global way across the different languages and legal jurisdictions in Europe). HR technology’s in a good state as Brady Corporation implemented Workday a year ago (and Christine says she can’t want to see the new additions in version 12). They also use a performance and career system that they built themselves and which they see as one of the key things that support their way of doing business. They’re also looking at a recruitment system, but the question is still whether they can justify a single system operating across the various countries they’re in, available in all the different languages that would be required – or whether they can meet their needs in a different way. The capability of the HR team is good, partly because Christine’s been able to recruit her HR leaders herself, and has recruited them for the environment they’re working in – so understanding how to make business partnering work – which still seems to be a major challenge for many organisations, doesn’t seem to be an issue here. I also asked Christine about the Talent Management Summit we’ll both be attending and she’s obviously looking forward to this, as in her view, in addition to the normal benefits about getting new ideas about best practice, The Economist has selected some influential thinkers, all from respected organisations for this conference - and they’ve also picked topics that are very relevant to today’s world. I agree! Also see my post on the results of the survey, and this one of my conversation with Matthew Hanwell about HR’s challenges at Nokia (Matthew will also be joining me at the Economist Talent Management Summit). At the end of my HR 2.0 webinar, I mentioned that a good example of the sort of focus on community I’d been discussing is Connecting HR. As with the various examples I described, there’s a technology focus to this community, particularly in our new social site at connectinghr.org, replacing our previous site and the Yammer group we’d been using. And there’s the face to face side with our series of tweet-ups, and now our second unconference which will be held on 5th May. If you can get to London that day it’ll be an event well worth attending. Then my next webinar will focus on innovation in HR, building on my recent comments about the ‘Big Rethink’ in HR. You can Book here. My next webinar, building on the theme of today’s will look at the social business, and will be on Tuesday 3rd May. And this webinar will be social! Ie we’ll definitely have questions working, and I hope I’ll be able to put some of you on to talk about the social business too. Well I found delivering that webinar fun. I was a shame that I was challenged by the technology meaning that once again it wasn’t as social (interactive) as I would have liked. Well OK, it wasn’t social at all this time. Basically I had to junk the polling and Q&A etc all together, and just hope that people will email be their questions, which I can respond to here. The problem was, as I explained, that I’m having meetings in Houston at the moment and had to dash back to my room to start the webinar. And then because the organisation and delivery of webinars is still quite new to me, I ended up faffing about, and decided just to focus on my presentation, just so we could start on time. Anyway, the good news is that without the socialness, I managed to cover a lot of ground. You can listen to an archive of the webinar here – and I do recommend you do. The content’s good, even if the delivery’s a bit patchy (the presentation starts 1 minute 20 seconds in)! And you can always leave me your questions in the comments to this post below. Yes, I think that’s still largely true – and particularly in those organisations that are still nervous of social media. But I do think that’s changing. 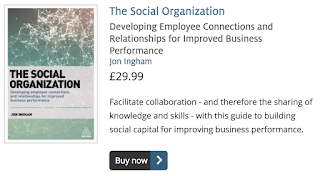 Organisations are realising their workforces are social (are motivated to connect and bond with each other, and are more productive when they work with people they have pre-existing relationships with). It will take time, but I do think it’s happening. It’s a similar situation to an extent, to the early days of emotional intelligence, or at least Daniel Goleman’s popularisation of this concept. Goleman used to suggest that people had to leave their emotional identities outside the office – hanging up their intuitive and relationship selves like their coats on a hanger. Now most businesses realise that they benefit if they accept people are emotional beings, and try to influence their emotional effectiveness as well. I think exactly the same thing will happen in terms of social beings and their social effectiveness too. I’m hoping to get more questions from attendees later and will come back and respond to these here too. And I’m also going to post a link to the slideset I used that will also provide links to my blog posts and other case studies. Look out on Friday or over the weekend (maybe Monday) for all of this. You can read more about my perspectives on strategic HR (if you speak Polish) in the current edition of MagazynHR. I’ve (nearly) completely missed out on posting on Dan Pink’s book, Drive, previously somehow. I don’t know how that happened – it’s certainly something I talk about a lot. I accept most of Paul Herbert’s case (which I still think are the best constructed arguments) against Pink’s thinking. But I also still think it’s the nearest thing like a hand grenade lobbed into the middle of the HR community that there’s been. And although I’ve heard Pink talk and seen his animated presentation, I’ve not seen him present live (even virtually) before. So having done so, I thought I’d share a few perspectives here. The basic argument is that incentives don’t work for doing complicated and creative things - creating rather than adding to existing categories. And it’s this sort of work – non-commissioned rather than commissioned work – that’s going to be the future of organisations. Or at least they don’t work past a certain point. yes, you’ve got to treat them fairly, to pay them adequately. People are finely tuned to fairness. You violate this norm and people will find it profoundly demotivating – basically you’re toast. So you’ve got to pay people enough to take the issue of money off the table. And focus on recognition after the fact rather than just incentives. Instead, we need to focus on meeting peoples’ needs for autonomy, mastery and purpose. (I’d just add relatedness to this list – Pink writes about this in his book when he discusses self determination theory, but he doesn’t make it one of this key themes). Netflix which pays its people well to take the issue off the table but (rare in Silicon Valley) doesn’t give its people stock options as it wants people to think about customers not stock. And also allows people to take as much vacation as they want. Atlassian’s ‘FedEx Days’ where every Thursday, people are told to go and work on anything they want, with whoever they want, in what ever way they want, but need to come back to show people their ideas on Friday afternoons in a free wheeling session. This one day has led to a whole variety of ideas for fixes, new products and internal processes. The principle is that employees want to do things for the organisation and these days get the organisation out of their day. Intuit which announced a new strategy to focus on mobile technology. None of the departments were able to change direction on a dot, but individual employees created 7 mobile apps in their 10% time before any formal projects even got started. Mastery is about getting better at stuff. People are most engaged and feel most loyal when they’re progressing. But for this to work they need to have feedback, and have their work recognised by the organisation. Annual performance reviews are useless except as cover for litigation. Ideally, you need to engage people to do their own performance reviews – get the to set out their own performance goals and at the end of the month, invite themselves into their office and ask themselves what they need to change. Purpose – it’s really worth reminding people about the organisation’s purpose, especially if it’s naturally compelling, and focuses on why as well as how (what I call mojo). OK, most of you will know a lot of this already, but I still think it’s an important issue that a lot more HR teams need to consider in more detail than they have. Alternatively, we can go on wasting money paying people to do stuff without getting any impact on what they do. And demotivating them in the process. Your call! Just a quick reminder that I’ll be writing more about social HR (including learning) - that I’ve been writing about in my last couple of posts - in this webinar on Tuesday 15th March. Do join me if you can! 1. What about 360 degree feedback – isn’t this social? To an extent yes, but 1.feedback also needs to be shared back with the people providing it, and 2. the focus needs to be the social unit, rather than the individual, ie it needs to be an entire team or community providing and sharing feedback on each other. 2. How do you select the best technology for online learning? This is part of the process I’ve already referred to in which organisations need to select online learning or other enablers as appropriate. The same applies at a more granular level to the selection of which technology (or which style of team facilitation etc). 3. What’s the difference between a network and a community? Communities are more discreet, have a sense of membership and there is a greater need for relationships to be formed in advance of doing work. 4. Does change to become a learning organisation need to start at the top of the organisation? Well you certainly don’t want the top to block change, but I do think social change has to be a bit different to traditional changes eg sponsorship can (should?) come from the middle of the organisation rather than just from the top. I’ve already tried to address this one. Not necessarily, and it’s not even the ‘best’ for any particular individual, but it’s the best for the learning of the whole social unit (team / community / organisation). However, if you look at learning from a social constructivist, and certainly a social connectivist, perspective, then yes, in general, social learning is going to be THE best – for everyone. There are also different ways to engage in social learning of course – it doesn’t all require extrovert behaviours for example. Q: What percentage of participation can be considered to be normal or adapted in a virtual community of learning inside an organization? The general rule of thumb – for learning as well as other types of community - is 90 lurkers to 9 contributors to 1 creator (Jakob Nielson’s theory of Participation Inequality). But this isn’t a rule! Implemented carefully and thoughtfully, you can get much higher rates of active participation than this. Q: What strategies or activities are most adapted to stimulate the collaborative learning in virtual environments? The key is getting people using the available technologies. There are a few ways this can be achieved – see this post: http://blog.social-advantage.com/2009/10/3-modes-of-web-20-implementation.html. Q: We are involved with team coaching and team appraisals. Is that social. Yes, absolutely – depending on how it’s done of course! Q: How critical is the content and the technology to the emergence of enhanced organisational learning? They’re both less important than the people, ie the adoption. Implemented right, people will make the technology work, and will provide the content. Q: Can you scale an online learning episode in terms of its social learning opportunities? Absolutely, this is the advantage it offers over pre-internet, or certainly pre-web2.0, organisational learning. And in some ways, the larger the scale, the more the social. Q: Is a social learning focus not richer done through a social medium (face to face) ? I think that’s often the case. This is the reason that I suggest online learning where you can see or at least hear someone is probably more social than social networking supported learning, although this sounds like it should be more social. But it’s also the reason why I included the water cooler slide – we shouldn’t forget about face-to-face opportunities to be social too! And thanks to whoever said that they really liked the petri dish slide – “excellent visual for proving the social mix 'culture' point”. Actually, it’s not just that HCI / the MIX didn’t select my hack, that’s OK (everyone makes mistakes!). It’s more that I don’t think the best of the rest have been selected either. Definitely some good examples to join the ranks of other mavericks! My favourite story of all though isn’t on this list, and is one describing celebrating failure at NixonMcInnes. The entry refers to the company’s blog and a really interesting post describing their measurement of happiness through the use of a sophisticated analytical system which could otherwise be described as three buckets on the floor (see picture). This obviously relates to what I’ve been writing about in my recent posts on Social HR and I’ll be covering in my webinar in a week on Tuesday (3.00pm GMT on 15th March). PS it’s interesting how many of the MIX / HCI’s stories come from companies outside the US and particularly from the UK! 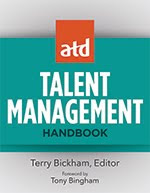 Strategic HCM has been chosen by analysts at the Human Capital Institute (HCI) as one of HCI's Top 50 Talent Blogs for 2011. You may remember that I had entered a competition at the end of last year to win a prize at the Management Innovation eXchange (the MIX) which would have given me a ticket to HCI’s summit in Atlanta this week. Well, my management hack was featured in a weekly update from the MIX but I didn’t win the prize (it was scoring very highly until it attracted a couple of votes which must have been near-zero in the last couple of days of the competition!). However, I will still be attending some of the summit virtually, so look out for posts on it from me this week. After leaving the Big Rethink yesterday, I went to Symposium Events’ Employee Engagement Summit. It was a good afternoon which made me wish I’d got there earlier, with some interesting presentations on measuring and improving engagement. Lindsey Oliver from Centrica discussed the engagement survey they have been using. They’ve got some good data and have drawn some interesting correlations, but the thing that I found most interesting, and allowed them to get the level of insight that they have, is that they’ve linked the survey to their SAP system so responses are linked to individuals rather than just a team code. The obvious question, to me at least, is isn’t that a bit dangerous ie won’t it at least lower response rates? Lindsey answered the question at the end of her presentation - Centrica’s employees trust the company enough to know that Hewitt won’t hand them the individual data. And no, it’s not affected their response rates which are close to 90%. My remaining concern is still whether organisations and managers need this sort of analysis to manage their people in a way which creates engagement. And Lindsey sort of answered this question too. Talking about their induction process which wasn’t working effectively (“People weren’t sure what they needed to do”), she noted “We should have known this but its taken the stats to point this out”. Well yes, I think they probably should have known, and relying on the survey to give them insight still leaves something missing in their management processes to me. My favourite presentation of the afternoon was delivered by Michael Silverman, recently ex-Unilever. This was on the use of social media for measuring employee engagement and focused in particular on the use of a social engagement research tool with a wonderfully cool interface (see picture) that allows employees to comment on the relevance and insight of each others comments. This is all important. As Michael pointed out, most surveys are boring and not very engaging. The survey he demonstrated is definitely a vision of the future of engagement surveys, one that models the level and type of engagement that organisations are wanting to create. See also this previous post on social media at Unilever, and this recent post on listening to the employees’ voice, including through social tools. I also liked Liz Bramley’s session on creating rather than measuring engaging at the Co-operative Group. Shown that it costs more to increase engagement than it does to maintain them there. I thought another interesting output of the research with the company is still thinking about (and I feel the need to do the same) is that following the recession, pay is becoming a driver for engagement rather than just a hygiene factor (Herzberg). Some people less propensity to be engaged? Really? – or is it just that the company’s not managed to align with their perspectives? I agree some people will want to work harder than others, and should get more reward, but this doesn’t mean they can’t be equally as engaged. The difference is in the performance they get for this engagement, not the level of engagement in itself. The Co-op have linked 79% of peoples’ engagement to the role of the line manager. I find this interesting but have a number of problems with it. Firstly, I’m not that clear how they’ve separated these out – Liz noted that engaged managers build engaged teams, so survey engaged leaders create engaged managers? (also see Hay Group’s recent research in this area). Secondly, it doesn’t seem to fit with the Co-op’s strong values – if they’re as strong as Liz says, then surely they must have a bigger impact on engagement? September 30th 2011 – Manchester. So what does the Big Rethink look like within HR? Unfortunately innovation is not something that is seen as a priority by many businesses (see this article and this one in the FT for example). Also, as Gary Hamel and Julian Birkinshaw stress, the main opportunities for innovation are increasingly moving from products, services and business models to organisational management.And although these authors gives examples of non-people management innovations (for example in time and expense reporting! ), the main opportunities they discuss fall clearly within HR. This is why I suggest HR teams need to focus less on best practices and more on next practices, and best fit. ‘Maverick’ organisations such as Semco,Netflix, Zappos and HCL Technologies show the scope of what is possible, and their approaches can be adopted by more ‘normal’ organisations in modified form as well. 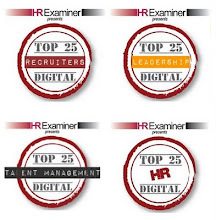 Want to innovate your HR strategy and processes? Let’s chat. You may also be interested in this webinar on innovation in HR, scheduled for 12th July. How people form ideas about brands has changed. We’ve tended to think of it a bit like ten pin bowling in which if we have enough enthusiasm we can bowl passive consumers over. But now it’s more like pinball. An idea owner can put an idea in play but then it bounces around between consumers. And towards the end, if we’re lucky, we can put the idea back in play for another round. I think this is a really nice way of looking at this. I’ve tried to articular my thoughts about employer branding a couple of times on this blog, but I think this metaphor does it much more nicely than I’ve been able to do before! Thanks for sharing it to Andy Fennell, Chief Marketing Officer at Diageo. However, I also thought it might be worth reflecting quickly on the event’s relevance for HR. I went to the event because I’m so convinced a ‘big rethink’ is required in so many areas, including people management. And because I think companies can and should compete on ideas (and it’s what I try and do in my personal consultancy as well). But the event is really about rethinking relationships with customers and I don’t think there were any other HR people there (though I did see and chat to Jonathan Winter from Career Innovation). Still a lot of what was said about customers applies to employees too. So it’s a shame there weren’t more HR people there. And it’s an even bigger shame there doesn’t seem to be an appetite within HR to generate – or even just learn about - new ideas in our own area that will also help our companies gain competitive advantage. Or perhaps there is? On 9th June, I’ll be attending Economist Conferences’ Talent Management Summit and it sounds as if speakers will be discussing plenty of innovations. I’ll be blogging it all here. The recent UK labour market statistics pointing to a jobless recovery throughout 2011 and beyond emphasise the need for all organisations to get the most out of the people they currently employ. One, and certainly the simplest, way of organisations doing this is to listen to their people’s suggestions. I’ve recently posted on the need for doing this during restructuring – and the benefits Westminster Council have gained from listening to their employees. Consultation is a legal requirement (not just in the UK) during restructuring but it’s also a highly effective approach to minimising the negative consequences, and of maximising the positive opportunities of restructuring. It’s a shame therefore that most research shows that consultation continues to be performed so poorly. There are broader benefits to listening to employees ideas as well. For example, I’ve already posted on research suggesting that UK engagement levels are stable, but of my worry that this masks a reduction in employee passion for what they do, and in their so important discretionary behaviours. Asking people about how they can best contribution to their employing organisation is one of the most obvious ways of showing the organisation considers them important. This is about more than running a once a year engagement survey (important though this is). Partly because employee voice is part of social HR – you want your employees to talk to each other as well as to you. And partly because just showing you’re interested in them once a year isn’t likely to get the results you want. To seek out employees’ ideas on particular issues, or about particular events. You can use face-to-face consultation for a lot of this, but don’t forget about the increasingly important opportunities for using new and social technologies as well. This post is sponsored by Organised Feedback. Your customers and employees have great ideas and powerful opinions. Ignoring them is not a good idea. They will enjoy using OrganisedFeedback to suggest, vote, comment, share and improve. This knowledge is free, organised, prioritised and easy to utilise. See the live demonstration of Employee Voice, plus free trial. Contact: Jim Sproat. email: jim [dot] sproat [at] organisedfeedback [dot] com, Twitter: @jimsproat, telephone: +44 (0) 845 508 1585.